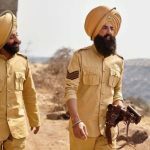 After a couple of terrific days, the period war drama Kesari has performed strongly on Saturday as well at the box office and crossed the mark of 50-crores within 3 days of release. Superstar Akshay Kumar & Parineeti Chopra starrer is expectedly getting a wonderful response from the audience nationwide. 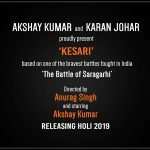 Directed by the director of critically acclaimed Punjabi film Punjab 1984, Anurag Singh, Kesari has got succeed to hit the target right and gathered very positive reactions from the critics as well as the audience. As a result, it has gained a solid word of mouth and showing the best trend of the year so far at the domestic box office. Karan Johar, Aruna Bhatia & Sunir Khetrapal’s production took a decent start on Thursday in the morning as there were limited shows across the country due to the Holi festivities. Post noon, it recorded an exceptional growth in footfalls and registered the biggest opening of 2019 so far with 21.06 crores. 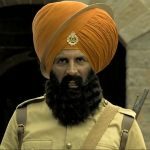 With such a tremendous opening, Kesari has also become the second highest opener for Akshay Kumar after his last year’s offering Gold (25.25 crores). Next day i.e. Friday, the film witnessed a drop of 20.47% and bagged the amount of 16.75 crores. On Saturday, Zee Studios’ presentation picked up again and raked the business of 18.75 crores despite the first cricket match of IPL 2019. After 3 days, the total domestic collection of Kesari has become 56.56 crores nett from 3600 screens. As per the current trend, it is likely to rake around 80 crores in the 4-days extended opening weekend. Avengers Endgame 1st Day Collection Prediction: All set for a Thunderous Start in India!